Add another stack of zeros to the running total of mortgage-meltdown-related cash laid out by banks, as Wells Fargo has agreed to pay a total of $38.5 million to advocacy groups and regulators to resolve complaints that the bank neglected foreclosure properties in predominantly non-white areas. The discrimination complaint, filed by the National Fair Housing Alliance with the Dept. 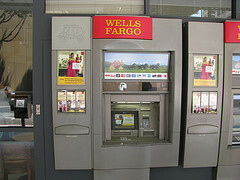 of Housing and Urban Development, came on the heels of a 2012 NFHA study that claimed Wells Fargo and other large mortgage servicers were giving preferential treatment to bank-owned properties in areas with a higher concentration of white residents, while allowing homes in non-white neighborhoods to fall into disrepair. When lenders foreclose on a property, they are obliged to maintain it, but the NFHA study alleged that bank-owned properties in non-white communities were 42% more likely to have more than 15 maintenance problems, and 82% more likely to have broken or boarded-up windows than foreclosed homes in predominantly white areas. In addition to the $27 million to NFHA and its associated groups, Wells has agreed to fork over $11.5 million to HUD to support development in 25 additional metro areas: Austin, TX; Bakersfield, CA; Detroit; Fort Lauderdale; Fresno, CA; Houston; Kansas City, MO; Las Vegas; Los Angeles; Memphis; Modesto, CA; New York City; Phoenix; Riverside, CA; Sacramento; San Antonio; San Diego; San Jose, CA; Santa Ana, CA; St. Louis; Stockton, CA; Tampa; Vallejo, CA; Virginia Beach; and West Palm Beach. Funds will be managed by the NFHA and 13 local non-profit fair housing organizations in these areas. According to a statement from these groups, the money will be disbursed through a variety of grants for things like down-payment assistance for people looking to buy, or for renovation efforts for those homes that languished in foreclosure. In addition to the money, Wells Fargo, which does not admit any actual culpability in this issue, has agreed to implement best practices for the maintenance and marketing of its REO properties, which will be monitored by a third party to ensure that the servicer is maintaining and marketing these properties properly. The bank has also promised to give a higher priority to owner-occupants than real estate investors when it comes to actually purchasing REOs, by extending its current Homeowner Priority period from 12 to 15 days. Furthermore, each time the price is dropped on a REO property, Wells Fargo will start the clock on a new five-day Homeowner Priority period.